This entry was posted on 2014/10/09 by Robin. 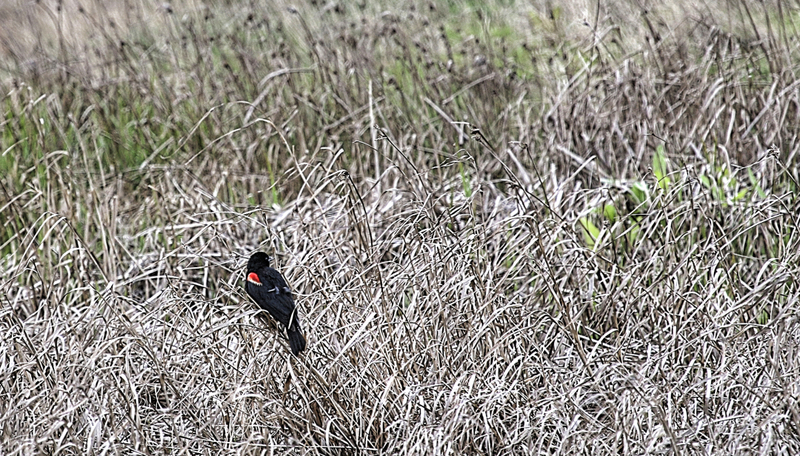 It was filed under Birds and was tagged with Marsh, Red-winged Blackbird, Saskatchewan. Love those birds with their bright red epaulets. Pat, Yep, me too! There’s sure a lot of them across the prairie! i always like seeing those red flashes,especially in early spring. Ruth, me too! They always seem to the earliest returns!